Mrs Amarelli, you have been President of the Henokiens Association for nearly two years. You thus have the honour of inaugurating the new rubric of the Association's Internet site "Focus on a Member". In your company, you hold, on the one hand, the function of Director for Strategy and Communication and, on the other, the office of President of the "Liquorice Museum". Who better than you, can present your company and its activities. > Pina Amarelli : Our family arrived in Calabria before the year 1000 but the production of liquorice really began in 1731. Since that date we have been producing sticks and drops of liquorice transformed from the sap drawn from roots and concentrated over a fire. This is done with the help of a highly developed technological organization. The final product is very high quality pure liquorice, completely natural, without additives or sweeteners. Its taste is extremely pleasant and it has a very special savour. > P.A. : We are responsible for the strategy of the company and, overall, there are eight members of the family who participate in managing it which includes both the production of liquorice and the Museum. 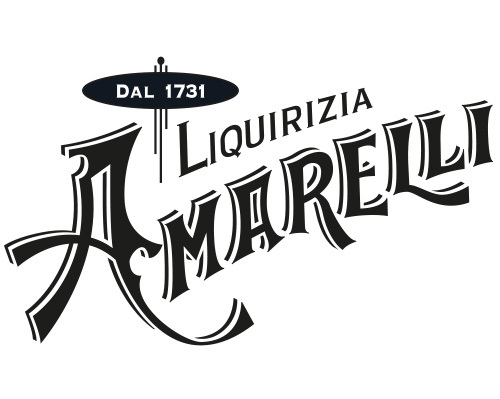 What, for you, have been the most significant facts for the Amarelli company over the last years? > P.A. : The most significant event of these last years was the opening of the "Giorgio Amarelli" Liquorice Museum, a testimony of the activities of our family in the region. The Museum presents, in particular, old agricultural tools, a collection of antique equipments and machines used in the making of the liquorice and old images. Our Museum received the Guggenheim Enterprise & Culture Trophy in 2001.I would also like to stress that the restructuring plan of our company was appreciated by Europa Nostra, an association for the preservation of the architectural and artistic heritage in Europe. > P.A. : Very simply by the permanent attention which we pay to ethics in the company and by enhancing the value, since the very beginning, of a traditional product and the soil it comes from. Could you say that this extraordinary longevity constitutes an argument in your relations with your customers? > P.A. : It is of primary importance because, through and thanks to it, we can offer a constant standard of quality which constitutes the "brand" of our family and makes it possible to maintain relations of confidence between us and our customers. Do these traditional values which guide your company constitute an asset as regards research and innovation? > P.A. : Obviously, yes, because our ancestral know-how and the understanding of our business enables us to distinguish between the good ideas that are to be developed and those which have no chance of success even if, at the outset, they seem attractive. What do you think are the major traps that your company is faced with in keeping its independence? > P.A. : It is especially important to respect institutions, I mean all the official organizations with which a company as ours is brought to work with, but without ever becoming their slaves! > P.A. : I would cite the changes which occurred after the fall of the Bourbons in 1860 which changed the economic situation of the south of Italy and, obviously, the crisis after the end of the Second World War and of course, the last years, very difficult for everyone. Is the transmission of the company to a member of your family governed by clearly defined rules? > P.A. : There are indeed rules but care is taken to adapt them for each generation to the context of the period.  Is the new generation already working in the company? > P.A. : Yes. My nephew Fortunato who is CEO, , Margherita manages Marketing and my son Giuseppe manages the legal aspects and the Code of Ethic.As for another of my nephews, Marco,he looks after the archives. > P.A. : Concerning the Museum, we are going to develop a naturalist walking tour around the exposition and, for the products, we have extended the range of products by commercializing an eau de Cologne, pasta and an old liqueur, all flavoured with our liquorice. Do you have a message for those who would like to create their family company? > P.A. : I would advise them to study the economic context, to show creativity and imagination without ever going beyond what is reasonable, to surround themselves with a team of persons in total agreement with the project, to share success with them and, finally, to always consider the future by taking inspiration from the past.